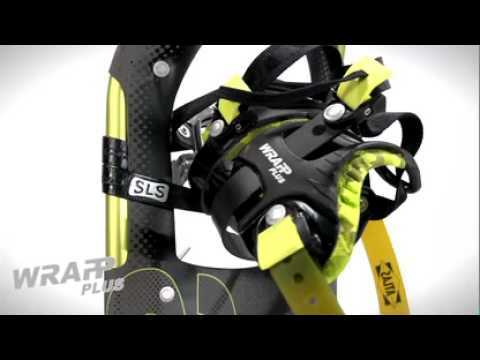 Excellent all-around female-specific snowshoes for backcountry hiking and mountaineering. The bindings are separately moulded for left and right feet. They feature single-pull loops, easy Fast-Loc™ buckles, and a secure, padded switchback webbing design that eliminates pressure points. The Elektra frame has a narrower waist and tapered tail. 6061 aluminum in a stiff proprietary V shape. Spring-loaded suspension provides natural foot positioning on varied terrain. Stainless steel Traverse Trac™ side traction rails provide downhill braking and traversing stability. Crampons have shovel-shaped prongs and very sharp end points. Heel lift for use on steep terrain. Remember to consider snowpack conditions and weights of user, pack, and winter clothing when sizing snowshoes.